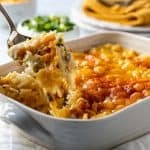 So easy, so cheesy, this cheesy shredded potato casserole recipe is truly swoon-worthy and one of the BEST potato side dishes, hands down. If you have ever wanted a potato side dish you could throw together at the last minute – you’ve found it! It’s no secret that we love potato side dishes here at ACT. From these luscious Potatoes Hashed in Cream to theseGreek Potatoes with Lemon and Oregano, it’s safe to say we’ve never met a potato side dish we didn’t like. But these easy, cheesy potatoes? Well, this shredded potato casserole recipe is in a class all by itself! 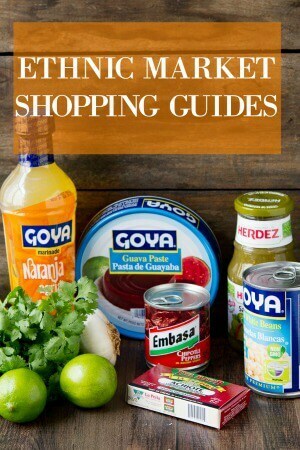 Can be assembled a day ahead of time and stored in the refrigerator. Made from refrigerator and freezer staples! 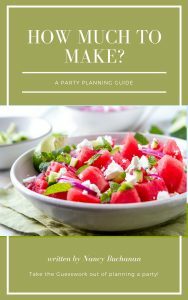 Minimal prep work involved – 5 ingredients only! Rich, creamy and oh-so- good!! Like a little black dress, these potatoes go with just about anything! You absolutely can assemble this hashbrown potato recipe up to a day in advance. Just cover and refrigerate and let come to room temperature before baking. 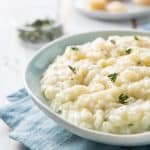 Can I use pre shredded cheese in this potato side dish recipe? You can, BUT the cheese won’t be as melty and the casserole will be a bit drier due to the anti caking agent used in pre shredded cheese. I highly recommend you buy a block of cheddar cheese and grate it yourself – it makes all the difference! Can I use another cheese for this recipe? 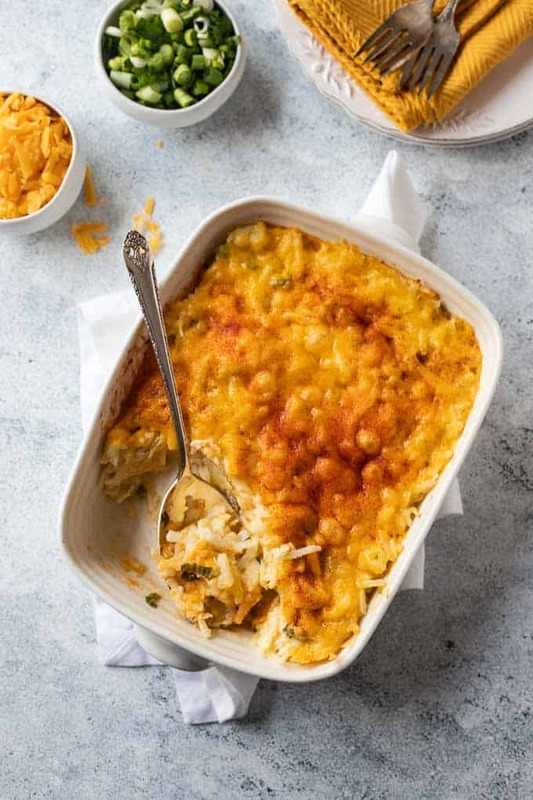 I like it with cheddar cheese, but you could definitely make these potatoes with colby jack, or a mix of cheddar and jack. Add the salt and pepper and stir together thoroughly. 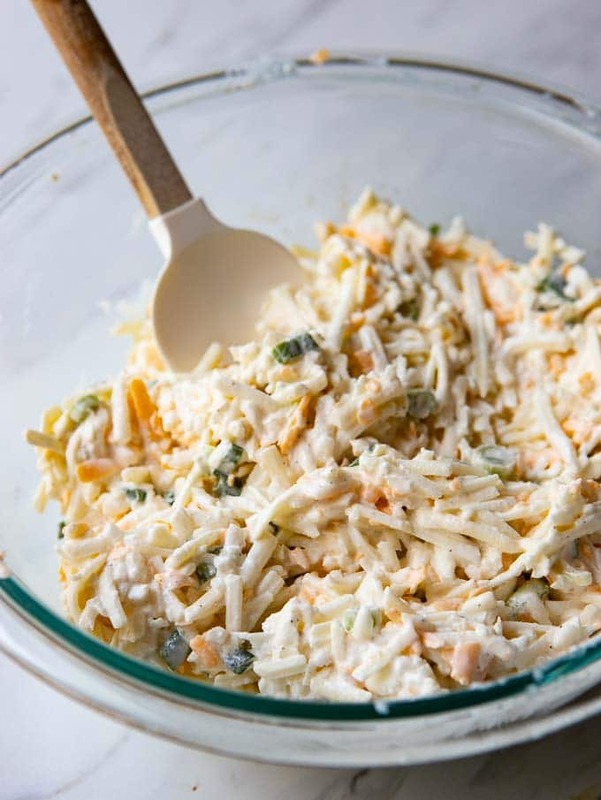 Spread into a greased casserole dish and top with more cheese! Bake or cover, refrigerate and bake the next day! Other Potato side dishes to tempt you! I hope you enjoy this Easy Cheese Potatoes recipe and would truly appreciate it if you’d rate the recipe! So easy, so cheesy, this is the potato side dish you’ll make again and again! Pre heat oven to 350 degrees. Defrost potatoes overnight in the refrigerator or under warm running water. 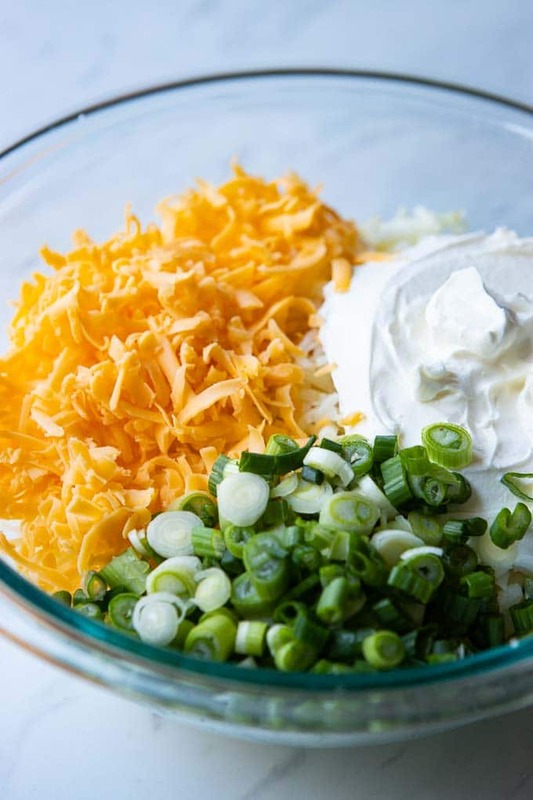 In a large bowl combine the potatoes, sour cream, sliced green onions, and 3/4 cup shredded cheese. Stir to thoroughly combine. Pour into a greased 9 x 13-inch pyrex casserole. Top with remaining shredded cheese and sprinkle paprika on top. Bake for 30 minutes until potatoes are tender and bubbling. This potato side dish goes with just about anything! I love to serve it with this Eye of Round Roast with Herb Infused Oil or with this Grilled Rib Eye with Salsa Verde. 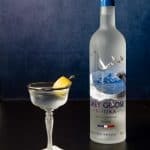 It also makes a great addition to a brunch buffet! You can assemble this hashbrown potato recipe up to a day in advance and refrigerate it. I think it tastes best right out of the oven, but it also makes terrific leftovers. 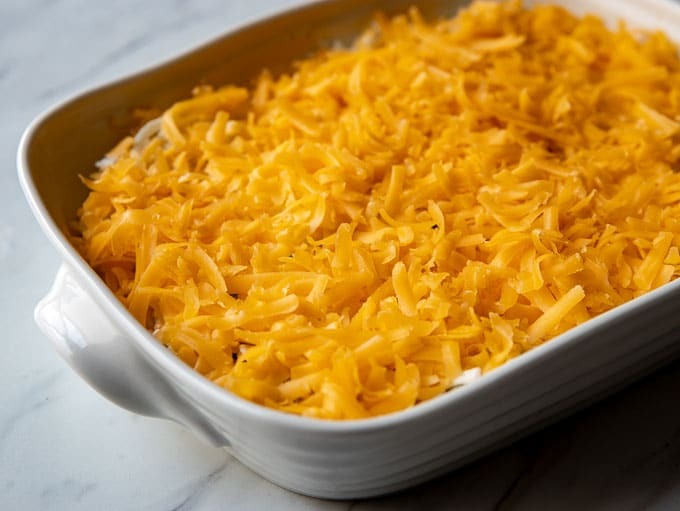 Although you could use pre-shredded cheese – don’t! The anti-caking agent they add to pre-shredded cheese dries the cheese out a bit and so it doesn’t melt as well- and this casserole is all about that melted cheese! Also, use full-fat sour cream. Low fat sour cream gives the potatoes a gritty taste which is definitely not what you want! 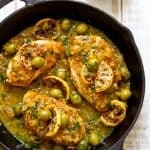 The recipe doubles or triples perfectly so it’s great for serving a crowd! I make a very similar recipe that includes a can of Cream of Chicken soup with cornflakes baked on top. I love your addition of green onions though. That’s the recipe I used for a side on Christmas day-but mine calls for crushed, lightly salted potato chips, not cornflakes. Same idea, I guess. 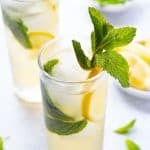 Very saitisfying recipe. A keeper. I used the leftovers by frying them for breakfast. I know what you mean by the lists. I thought my head was going to implode yesterday! 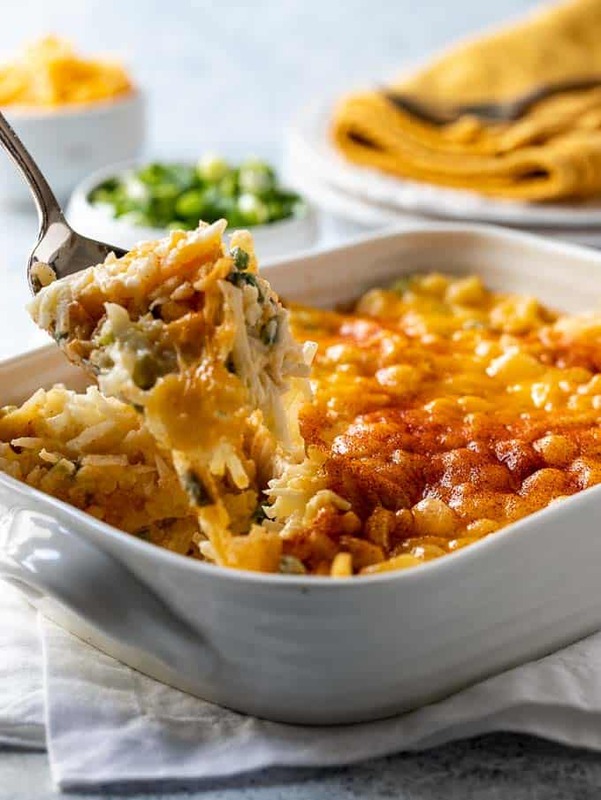 These cheesy potatoes look like a fantastic holiday indulgence. Looks so good! Hope you had a wonderful holiday, and wishing you a Happy New Year! Hi Nancy! I just wanted to check-in and wish you a Happy New Year. Happy New Year to you as well – I don’t see any reason you couldn’t scale this up – it’s a very forgiving recipe and easy to make!! 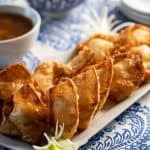 These have always been a favourite of mine but the recipe from my prairie friends who brought this to potlucks always used canned mushroom soup….so much better. Look wonderful. Can’t wait to try. Hi Carol! You absolutely can assemble these the day before! Pull them out os the refrigerator about an hour before putting them in the oven! 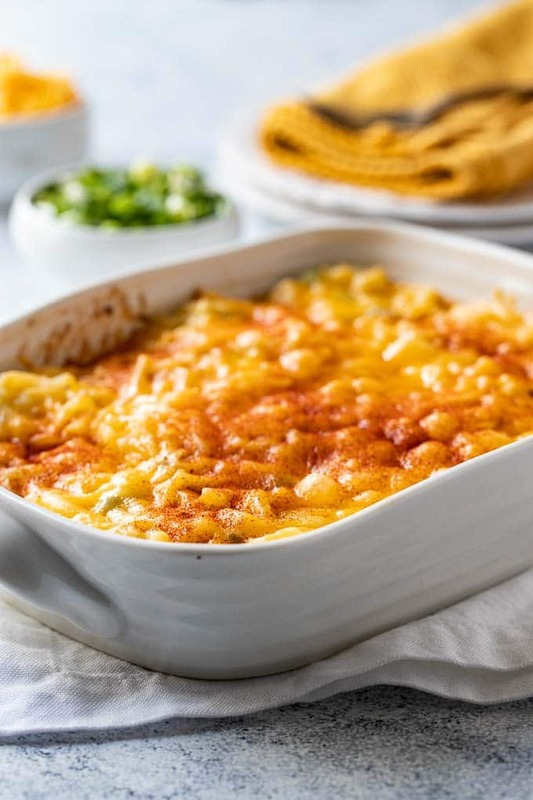 Also , i suggest not using pre shredded cheese- generally that cheese is tossed with a non caking agent which can dry the cheese- i’d just use a food processor to graye blocks of cheddar. Hope your event is lovely!!! Can I make the potatoes two days before? You should be able to make the potatoes up to two days ahead of time. Just make sure your refrigerator is below 40 degrees!